How to edit the SchemaCompare Settings in the SchemaComparison object? How can I do in code what I can EASILY do from the SSDT compare UI? Not the answer you're looking for? Browse other questions tagged database-schema sql-server-data-tools dac schema-compare or ask your own question. Any documentation on SSDT deployment? How to setup schema compare file so that it always ignores a specific db schema? 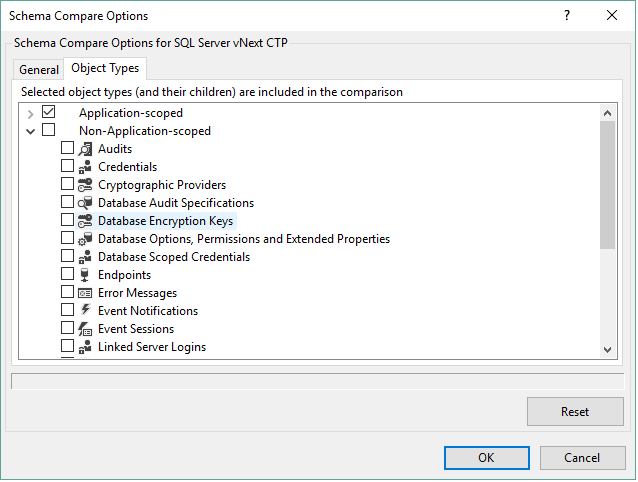 Compare SQL Server objects against TFS with SSDT?